Factair's Safe-Air Testers make accurate air quality testing to the requirements of EN12021 and a range of international standards even easier to complete. In the UK this ensures compliance with the mandatory requirements of COSHH L5. 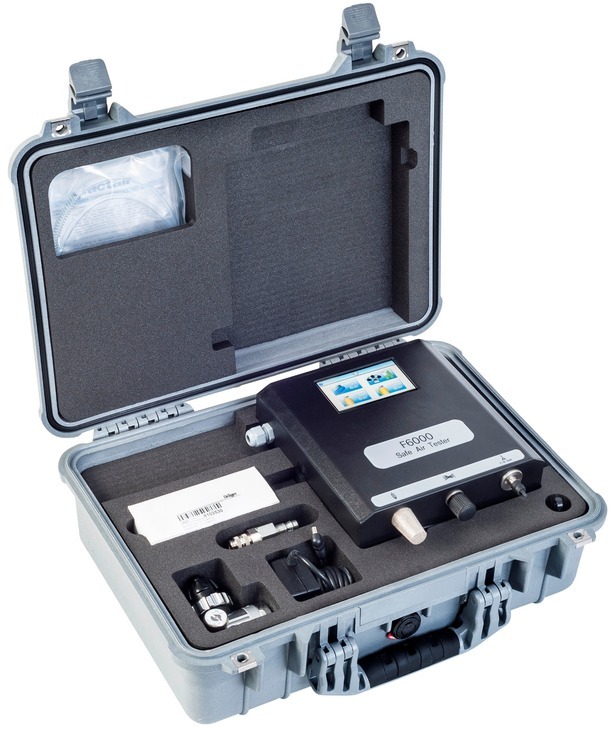 Instruments are available in portable and continuous monitoring formats. The latest generation utilise electronic cells to test carbon dioxide, carbon monoxide and oxygen with a PID sensor for volatile organic compounds which can include oil vapours and a test port for oil mist using the Draeger Impactor. Moisture is automatically measured with a built-in electronic dewpoint meter and there are digital readings for pressure, flow rate and ambient temperature. As an alternative to electronic sensors the F4500 and F4501 are designed to test low and high pressure compressed-air respectively. Both instruments incorporate an electronic reading for oxygen, pressure, ambient temperature and the F4500 also measures flowrate. Carbon monoxide, carbon dioxide and water levels are determined utilising Draeger chemical reagent tubes, whilst oil content can be measured using the Draeger Impactor. All of the above instruments have a colour touch screen display and include the ability to electronically store results and export to PC using software available to download from this website.